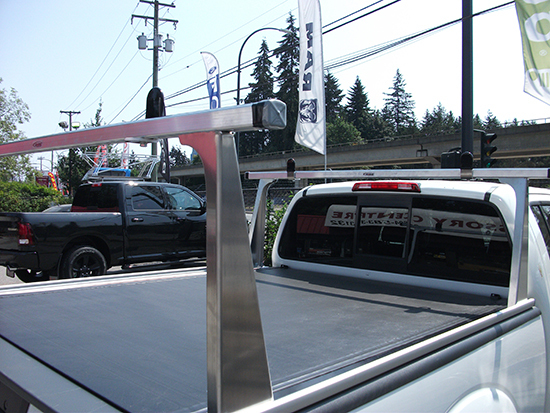 This truck bed rack has an average rating based on 10 customer reviews.
" I have a 2018 Nissan Titan. You don't make a rack for this truck. I purchased the one for a Toyota Tundra 5' 6" bed. Had to make a modification on the stake bed hold down spacers. Works great and allows me to use my existing tri fold Bakflip bed cover. Great product. " " The Aluminum Pro Series Ladder rack is exactly what I was looking for. I needed a rack that was compatible with my folding tonneau and it works perfectly. Very pleased with the price and the quality. This is a well engineered product at a great price. " " Just installed the Pro Adarac. Simple install, it took about half hour with reading instructions and all. I know guys don't read instructions. I use a rack in my construction work. 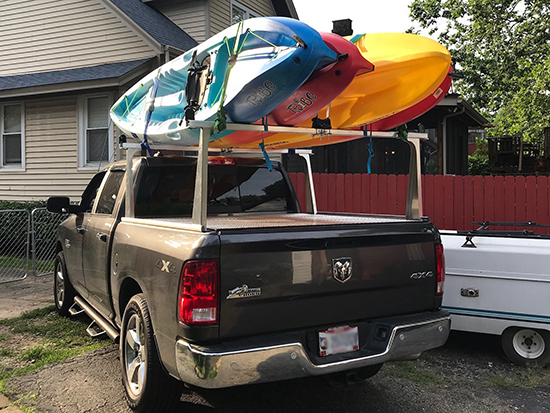 The pickup rack has a rubber surface on the top of the cross bars that should prevent slipping and scratching of my cargo. The cool thing is, you can move the load supports anywhere along the side rails. This will be handy for shorter objects. I use my truck for personal as well, so I can see a lot of possibilities. It looks good too. If you don't hear from me again, consider me satisfied. " " Qualty construction and easy to assemble. Maybe it was just me, but I thought the assembly instructions made it seem more difficult than it actually was. " " I installed two more racks this week with two more waiting to be done. Great design,only question to ask is what took so long before they came on the market. Thanks again, Laverne. " " Bought the professional series Adarac and Lomax cover and would love to give it a review for you. Wife and I installed them on our 2016 Ram and are extremely pleased with our choice. 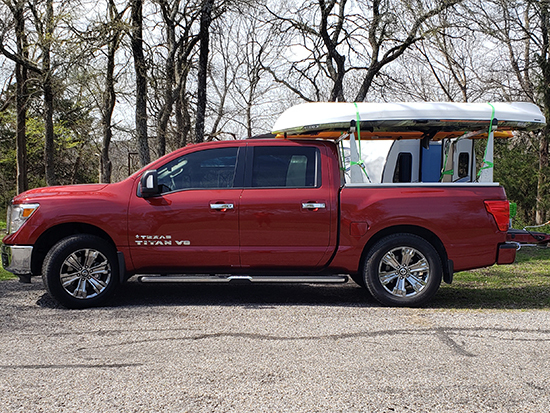 This is our play truck to to take camping and hauling our kayaks. We've gotten 5 kayaks up on it and could maybe squeeze on a 6th. The Lomax is watertight, nothing has penetrated. " " Simply put - excellent. I have sold and installed several now. 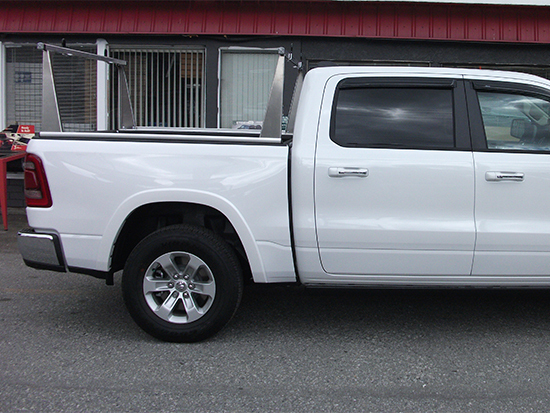 Including one today on a Nissan Frontier 6 ft. with a Bak Revolver X2 tonneau cover. A great product that i will be selling a lot more of. Thank you, Laverne. " " I just got this rack for my 2014 Tundra. I have a back flip tri fold tonneau cover. This rack fits and works perfectly. The instructions were super easy. Took me a buddy less than an hour to install. (could have been quicker if it wasn't for the beer breaks). The aluminum hound hold up great in our Alberta winters. Thanks for such a well made product! Can't wait to get the canoe on it. " " I have literally been looking for this rack for 10 years. I highly recommend it. The price was right, quality construction, looks great. 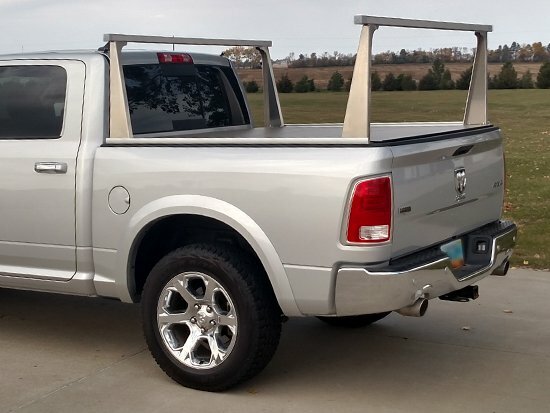 This is to only rack that I could find the would work with my BakFlip tonneau cover and it fits my truck perfectly. " " I love the rack. 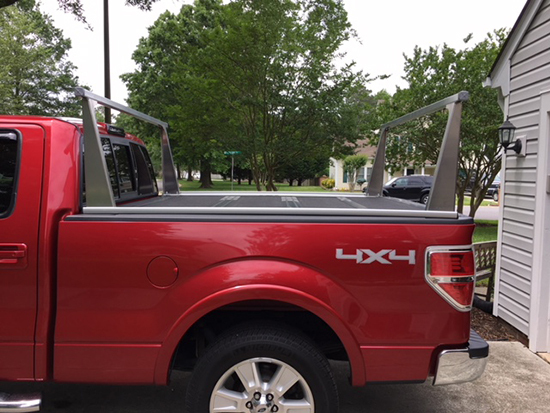 This is a well mad rack which looks very nice on my 2017 silver F-150. The assembly instructions are very good, and everything went together smoothly. I'm very pleased with this rack. "